Ian, I love this illustration. I cut it out from the Columbus Dispatch when it was published your senior year. Just found the clipping amongst my stuff and was wondering if you sell prints of this? Yes I do sell prints, i’ll get back to you with details in an email soon. Thanks for following my work. 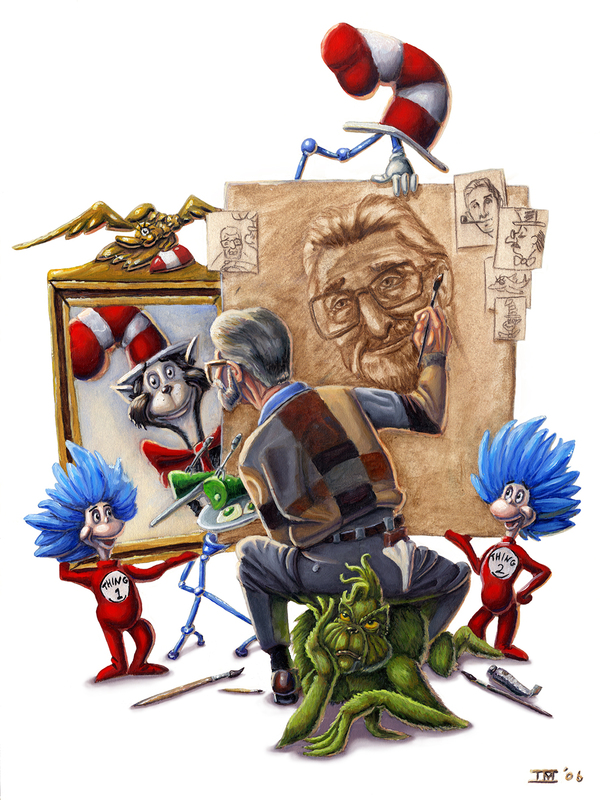 This illustration is a tribute to Dr. Seuss. My inspiration for the piece was Norman Rockwells Triple Slef Portrait. Media: Mixed. oil on illustration board then digitally retouched.